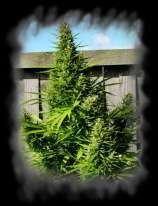 Here you can find a strain description about Royal Dane (Derg Corra) and also some user-based reviews and infos directly from the SeedFinder (if available). You can also find the offers and auctions here if Royal Dane (Derg Corra) cannabis seeds are on stock at MyCannapot right now. A local strain in Denmark with a long history. Potential for very big buds, as big as a mans thigh! Will finish outside mid september to mid october. A big thanks goes out to Hybrids From Hell for donating us these seeds from 2006 and making this reproduction possible! Royal Dane (Derg Corra) is not available at our shop at the moment!